Presented by Cindy Wenger of Peaceable Kingdom Animal Communications. 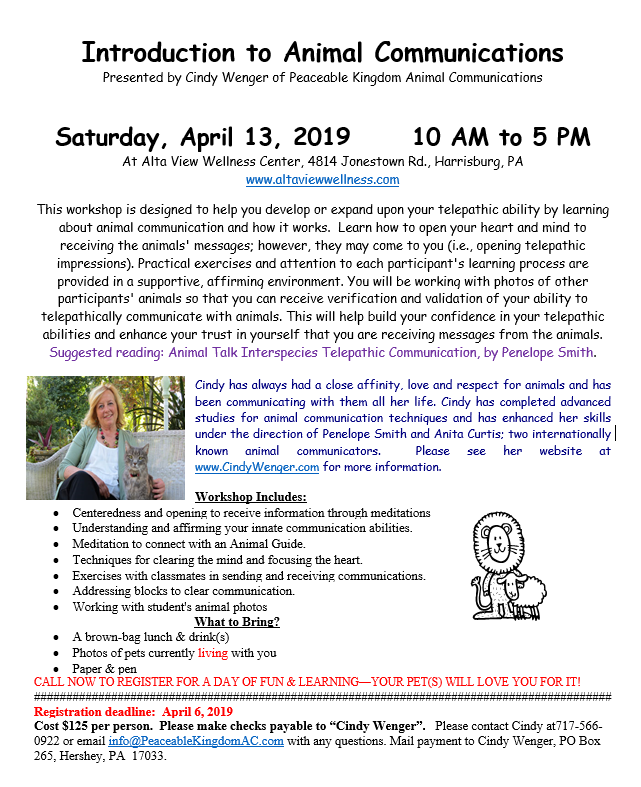 This workshop is designed to help you develop or expand upon your telepathic ability by learning about animal communication and how it works. Learn how to open your heart and mind to receiving the animals’ messages.